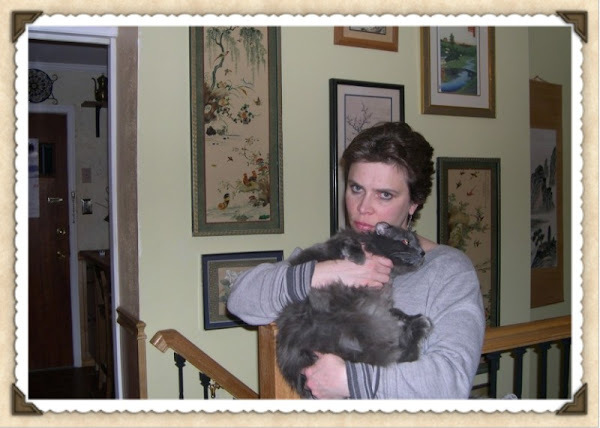 This blog is dedicated to our beloved Smokey, who was with us from 1992 to 2008, and whose life ended too soon, as a result of an obvious heart disease missed on an X-ray. He was one of a kind: feisty, intelligent, sweet and independent. Life has not been the same without him. We dedicate our work of advocacy for safer veterinary care in his loving memory. 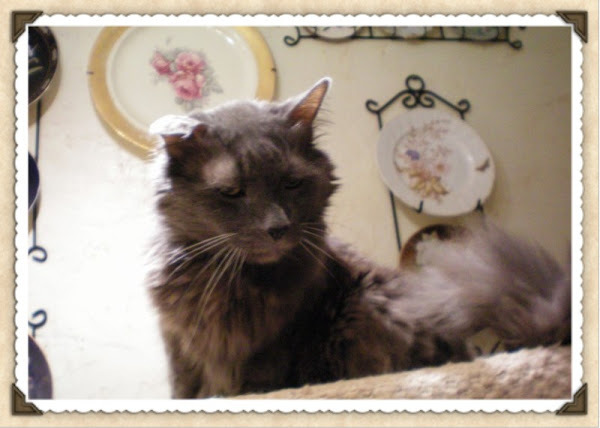 Smokey ruled the house from atop the dining room table. Towards the end of his life Smokey was less of a hooligan and more of a philosopher. Formal letters of censure issued by the Maryland State Board of Veterinary Medical Examiners are a matter of public record. All other contents and material presented on each page of this website consist solely of the opinions, observations, interpretations, and personal experiences of Natalie Kramer and should be considered in that context. http://cpahclientsbeware.blogspot.com/ and its creator, Natalie Kramer, make no warranty as to the accuracy, completeness, reliability of the information on this website. This information is ADVISORY ONLY and the user/website visitor assumes all liability and waives any and all claims or causes of action against this website, its hosts, and/or Natalie Kramer for all uses of, and any reliance on, this information. The website http://cpahclientsbeware.blogspot.com/ and Natalie Kramer, its creator, specifically disclaim any and all liability for any claims or damages that may result from providing the website or the information it contains, including any websites maintained by third parties and linked to and/or from the http://cpahclientsbeware.blogspot.com/ website. Links provided to other websites from the http://cpahclientsbeware.blogspot.com/ website do not constitute an endorsement of the third party website or its content. The http://cpahclientsbeware.blogspot.com/ is not affiliated with any State Board of Veterinary Examiners or other regulatory agency in any way. Smokey was unlike any cats we know. He was a character: completely fearless, a free spirit, and independent thinker, and first and foremost, our cherished pet for 15 years. We don't know how much longer we could have had him, had his congestive heart failure been diagnosed in time, but we can't help but grieve the chance that was taken away. We will never be the same. We will never have the same care-free and trusting view of veterinarians. We dedicate our work of educating consumers of veterinary care to Smokey's memory. Rest in peace, our beloved gray beast. We hope your suffering was not in vain. We love you always. I am totally in love with my pets, all of them. My main goal in life now that my human child is an adult is to create a system of accountability for negligent veterinarians. My other goal is to keep my own pets healthy and out of harm's way. I love spending time gabbing with friends. I am also an outdoorsy type: long walks in nature with my dogs is my favorite passtime. 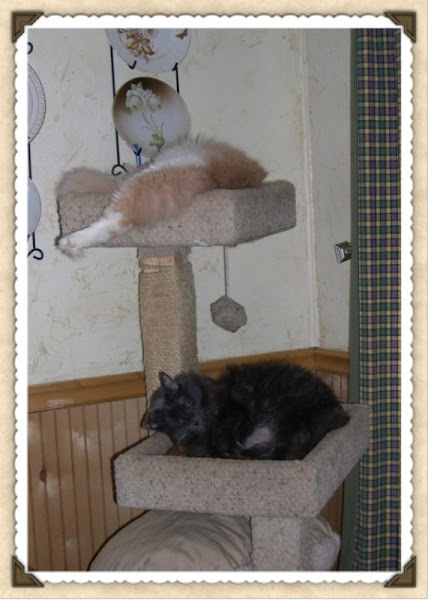 I was just notified that the veterinarian who treated Smokey at College Park Animal Hospital received a formal letter of censure concerning his "failure to recognize cardiomegaly and increased pulmonary interstitial pattern on the thoracic radiographs taken of Smokey on January 8, 2008." This excerpt is from an October 29, 2009 letter from the Maryland State Board of Veterinary Medical Examiners, addressed to me. The letter goes on to state that prior to accepting censure, this veterinarian "participated in classes offered at a regional conference as a means of improving his ability to read readiographs and ultrasounds." The letter to me also stated that a letter of censure is a matter of public record. 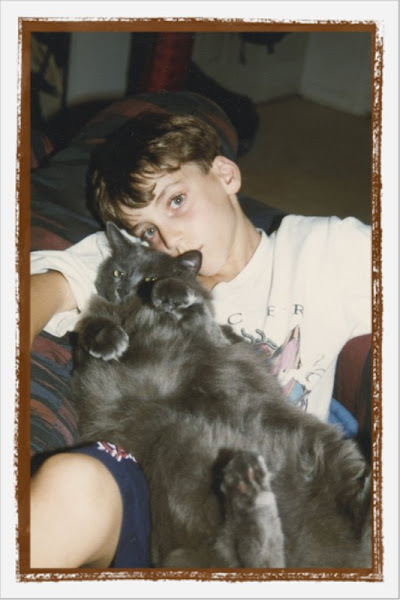 Smokey was Alex's first pet. Smokey liked things tastefully done. Above all else Smokey valued friendship. He liked to "hang" with his friends. 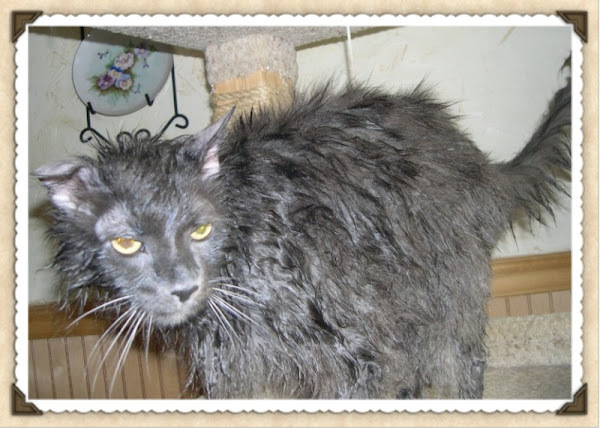 Smokey was NOT a fan of baths.